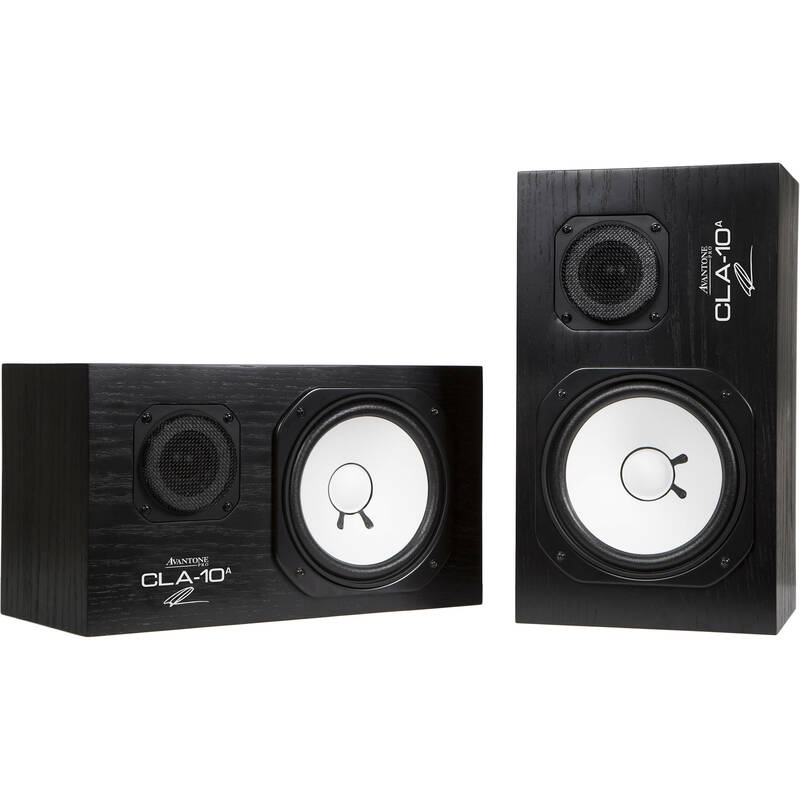 Crafted in conjunction with mixing legend Chris Lord-Alge, the Avantone CLA-10A comprises a pair of active studio monitors that faithfully reproduce an iconic pair of speakers from the last 30 years. The inspiration for these speakers have been found in the rooms of many top professionals and are desired not necessarily for their pleasurable sonics but their accuracy in translation. Make a mix sound good on them, and it will sound good everywhere. The original was long ago discontinued, but Avantone paired up with Chris Lord-Alge—an avid user of the original—to make sure the CLA-10A provided the same feel and frequency response. Then, they released a compatible 200W Class-AB amplifier. Now, the company has put the two together into an active pair that recreates the tone of these famed monitors and goes a bit beyond. Thanks to a VTPC knob on the back of each monitor, you have the ability to simulate different versions of the classic 10 design, going from the vertical version to the horizontal version, and choosing the best tweeter brightness for your particular room. Many monitors these days make use of a Class-D amplifier. This model, however, uses a Class-AB design that operates in parallel mode to deliver the high-power sound of a linear amplifier at low levels of distortion to boot. Like the CLA-10, the CLA-10A gives you a frequency response of 60 Hz to 20 kHz. They can achieve an SPL of 103 dB.